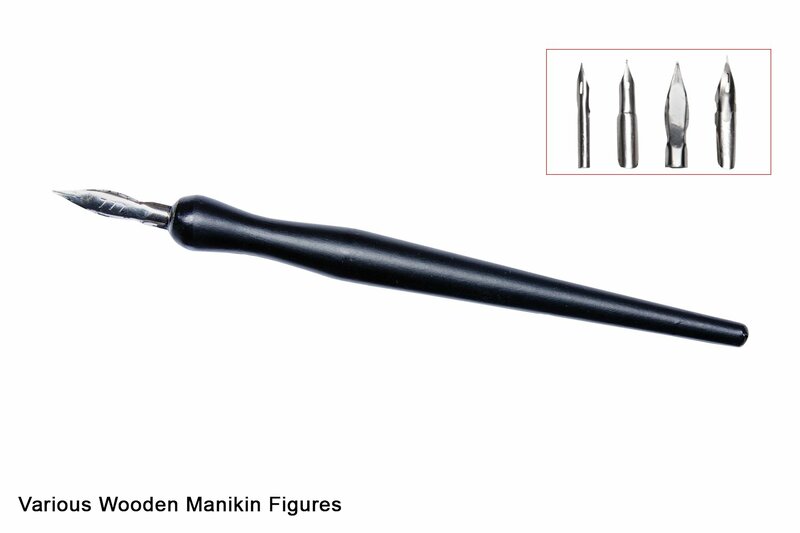 This wooden handled quill style dipping pen comes with 4 interchangeable, differently sized nibs that are perfect for illustration and calligraphy. Use in conjunction with waterproof, pigmented ink such as dala acrylic drawing ink or india ink. Dipping pens, as the name suggests, can be dipped into ink pots to allow colour to collect on the nibs surface and channeled down the nib onto the paper or cardstock. However, it is suggested one loads the nib with a dropper or a syringe instead. Vary your drawing pressure to create dynamic lines. Drawing softly with a low pressure will result in a fine line, and drawing using higher pressure will result in thicker lines. Always drag the pen in flowing downward or upward strokes, and never side to side or diagonally as this may result in ink being sprayed over your artwork, or it may damage the pen nib. This item has 796 views.